Christmas can be a real blast, but it can also be hell on the planet. There are the tonnes of wrapping paper dumped in landfills (or worse), countless food miles clocked up and greenhouse gases emitted, and a whole tonne of plastic junk gifts that you’ll hide in the back of the cupboard. Here’s a wee list I have compiled of ways you can go green this Christmas. It wouldn’t be Christmas without a slap-up dinner, but you can make your Christmas meal a bit easier on the Earth by eating green. Grow your own vegetables. Nothing tastes better than freshly dug potatoes and baby peas from your own garden, and in New Zealand we are lucky enough to have these vegetables available for harvest at Christmas time. The food miles get reduced to mere food metres when you pick them from your own garden. And the rellies will be really impressed! Buy organic and/or free-range. There are numerous suppliers of organic and free-range hams and large chickens, but we couldn’t find anyone selling organic turkeys in New Zealand – while there were free-range turkeys available they were all fed antibiotics. Buy local. Buying locally produced meat and vegetables means you reduce food miles and carbon emissions. Many towns have farmers’ markets (go to www.farmersmarkets.org.nz to see if there is one near you) that have a great range of fresh, locally-grown products. Go vegetarian. A vegetarian Christmas dinner is kinder to the environment – go to here for veggie Christmas ideas. Drink to save the planet. Crimson “young vines” pinot from Ata Rangi vineyard in Martinborough tastes fantastic, and a percentage from every bottle sold goes to help Project Crimson restore rata and pohutukawa. Go to www.atarangi.co.nz to buy on-line. Avoid “disposable” plates, cutlery and paper napkins, recycle bottles and cans, and compost vegetable leftovers or get a worm farm to dispose of food scraps. Every year it’s the same: a whole bunch of tat that gets broken within a day or is a crime against good taste. Or maybe you’ll get another three-pack of Chinese-made undies from Aunty Mavis. Green gifts are not only better for the environment, they will probably be more gratefully received as well! It may sound corny, but it really is the thought that counts. A gift that is home-made with thought and care will be much more appreciated that some mass-produced expensive present. Home baking, artworks, and other hand-made gifts are way more special. Or a Christmas poem specially written for someone will be really treasured. Buy environmentally friendly and ethically produced gifts from shops like Trade Aid that will help support fair trade and support communities. Support worthy causes instead of spending up large on presents. You can buy gifts like a piglet for an impoverished family in East Timor at www.oxfamunwrapped.org.nz. Or buy a gift Forest & Bird membership (go to www.forestandbird.org.nz/support-us/membership). Donate food and gifts (or your time as a volunteer) to your local foodbank or charities like City Missions to help those in need. Giving really is as good as receiving. And instead of the usual drunken office Christmas party, get together with your colleagues to help out a local volunteer day at a reserve in your area, or hold a beach clean-up. Plants, garden vouchers and gardening tools make great gifts for gardeners (even apartment dwellers can achieve great things in pots). Send email cards – they save paper and carbon emissions. Instead of accepting heaps of plastic bags from stores while Christmas shopping, take your own re-usable shopping bags. Recycle Christmas wrapping paper and cards (or keep them). Avoid plastic-coated wrap and plastic bows – fabric ribbons can be kept and re-used (and look much nicer). Don’t give pets as Christmas presents – too many are unwanted and end up abandoned. This is not only cruel to the animals, feral cats and other pets harm native wildlife. Buy local. It saves on carbon emissions and supports the local economy. Christmas decorations don’t need to create lots of waste – with a bit of green smarts you can create a festive atmosphere that doesn’t harm the environment. Every year thousands of Christmas trees get dumped in landfills. If you must buy a tree that has been cut down, check if your local council or Christmas tree supplier accepts the trees back for mulching after Christmas. A great alternative is a live tree. Totara make great temporary indoor trees (our office Christmas totara from last year is still going strong) that you can plant outside afterwards. Other natives such as rimu are also suitably Christmassy and robust. And they won’t shed pine needles all over the carpet. Buy quality Christmas decorations that you can re-use year after year. Making your own handcrafted decorations is even better. Or Trade Aid has great decorations such as Christmas stars handmade by women in Bangladesh from sustainably harvested jute. Christmas lights use lots of electricity, but if you really need twinkle in your Christmas you can buy solar-powered Christmas lights. LED ones also use less power than traditional bulbs. And you can save power by not leaving Christmas lights on 24-7. Christmas holidays for Kiwis often mean a lazy summer at the beach, bushwalks, or visits to our wonderful national parks. Make sure you take nothing but photos and leave nothing but your footprints when you go on holiday this summer. 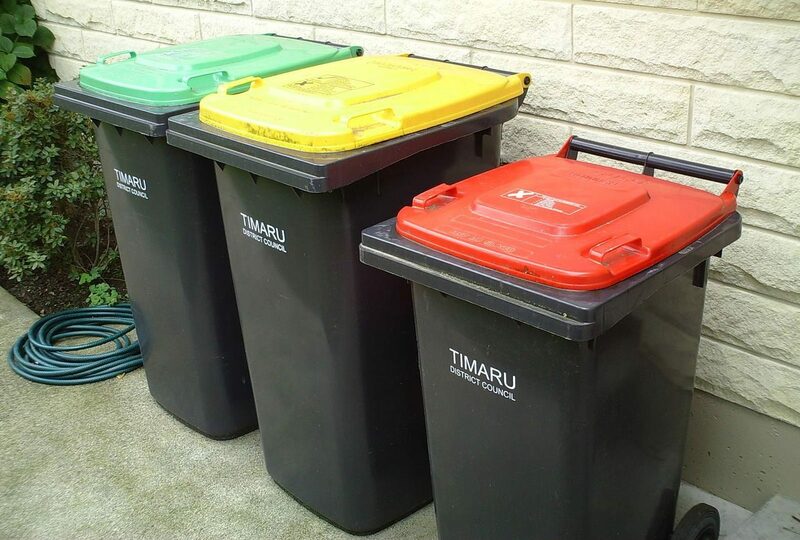 Take all your rubbish away to recycle or dispose carefully. Marine litter, including discarded fishing lines, damages the marine environment and kills marine life. Avoid driving on beaches. Vehicles damage sand dunes and native vegetation and destroy shore birds’ nests. If you need to use a vehicle to tow a boat to a launch site, use designated entry points. Become a willing worker on an organic farm. Food and accommodation is provided in return for your labour. Go to www.wwoof.co.nz for more information. If you are visiting the beach or wilderness areas make sure you keep dogs on a leash as they can easily kill native animals such as blue penguins and kiwi. Take a holiday in New Zealand. Long-haul flights create huge carbon emissions which contribute to climate change. By staying “home” you will reduce the carbon footprint of your holiday. If you do travel by air, you can offset your carbon emissions by purchasing carbon credits (go to www.airnewzealand.co.nz for more information). Take the bus or train. You can get to your holiday destination and use less fossil fuels by travelling by bus or train – and you can catch some great scenery along the way. Me? Fuelled by a bellyful of home-grown veges, I’m going to leap on my horse and explore our country’s lesser known wild places. So what are you doing to have a green Christmas? Are you going to dish up a tofu-turkey , buy a totara Christmas tree or do you have more ambitious plans to green your Christmas? Helen Bain has contributed 3 entries to our website, so far. View entries by Helen Bain. Would you like sustainability with that? Awesome Christmas you’re going to have Helen. Thanks for thinking of the planet. Maybe people also need to be aware that they should check to see if they CAN take their dog to their favourite wilderness area or beach. Many of them ban dogs for the very reason that they can be harmful to wildlife. Nothing is worse than seeing your pooch with a little blue penguin in its jaws. What a brilliant article. It gives good argument to all the things that we don’t want to do (like buying crap for the sake of buying something). Thanks for the link to oxfam unwrapped – I will definitely be making christmas purchases from here! In Maggie Barry’s gardening page in the Listener this week she has a good piece about flowering pohutukawa in post for Christmas trees. They look amazing – as do all the big pohutukawa flowering in Wellington this year. Very Christmassy and very Kiwi!